Over the past decade PACT Construction has built a reputation for delivering high quality projects in Western Australia and once again have showcased their talents in the construction of the Fusion Apartment complex in Burswood. 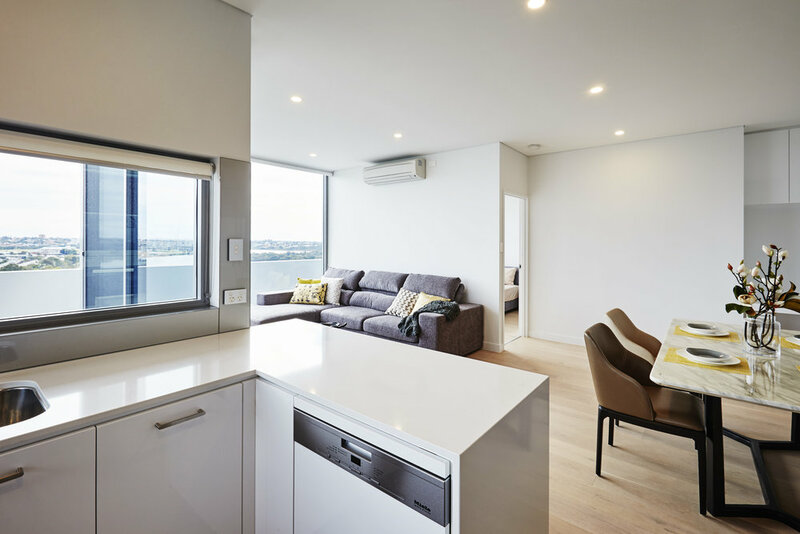 From the strikingly contemporary exterior, to the clever options for customising apartment interiors, no detail has been overlooked to create the ultimate urban living space. 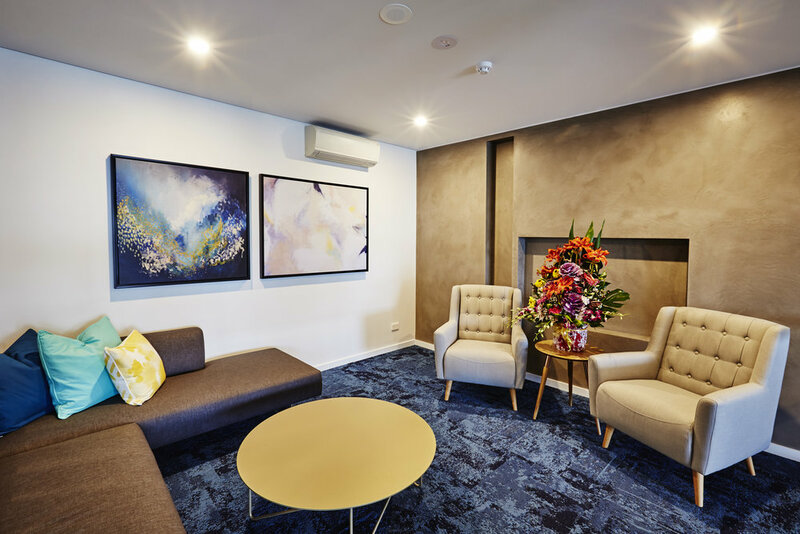 Situated in close proximity to the Crown Entertainment Complex and the new Sports Stadium together with connection to the Perth CBD, Swan River, freeway and airport Fusion Apartments are well located. The project consists of 2 commercial units and car parking at ground level with further parking on level 1. Level 1 also consists of a terrace complete with a swimming pool, gym and entertainment area. There are 89 one and two bed apartments between levels 2 – 8, each with its own spacious balcony. In-situ concrete and precast panels were utilised on ground and level 1 with AFS walls incorporated throughout the project. Full perimeter scaffold was erected from the ground floor to facilitate the construction works. Fusion has a five-star fit out, with stainless steel appliances, quality cabinets, stone kitchen bench tops, reverse cycle air-conditioning and wool-blend carpets. 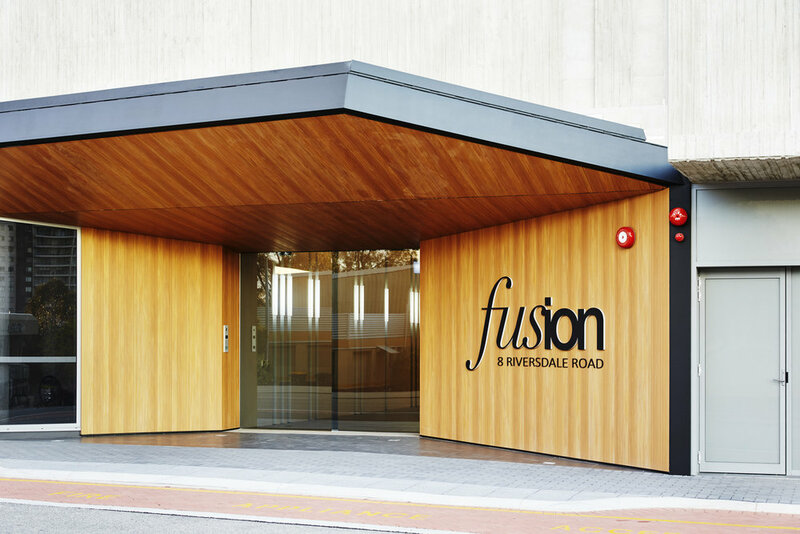 With Fusion offering owners 47 different options on the design specification PACT has again showcased its ability to deliver a high quality project with a wide range of internal finishes.